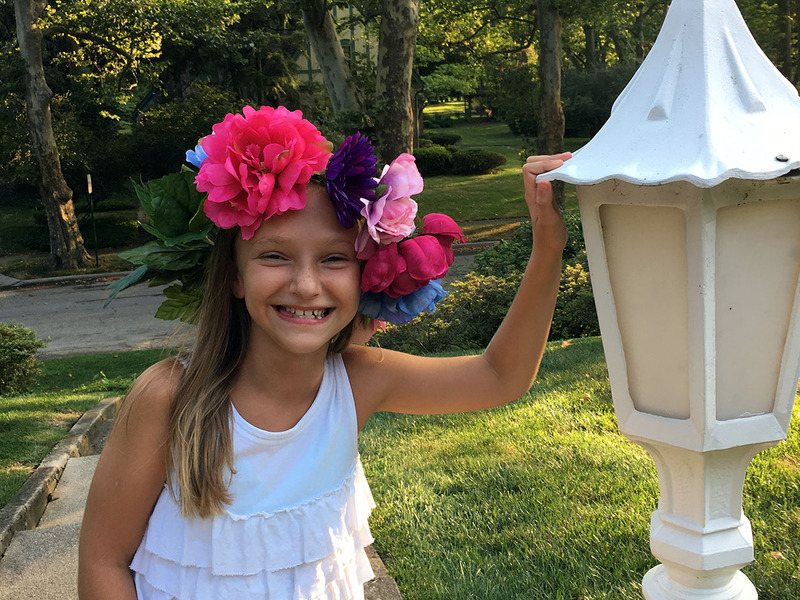 Grace turned 16 this week…sweet sixteen! Such a fun milestone birthday, so of course we have a special celebration planned this weekend. 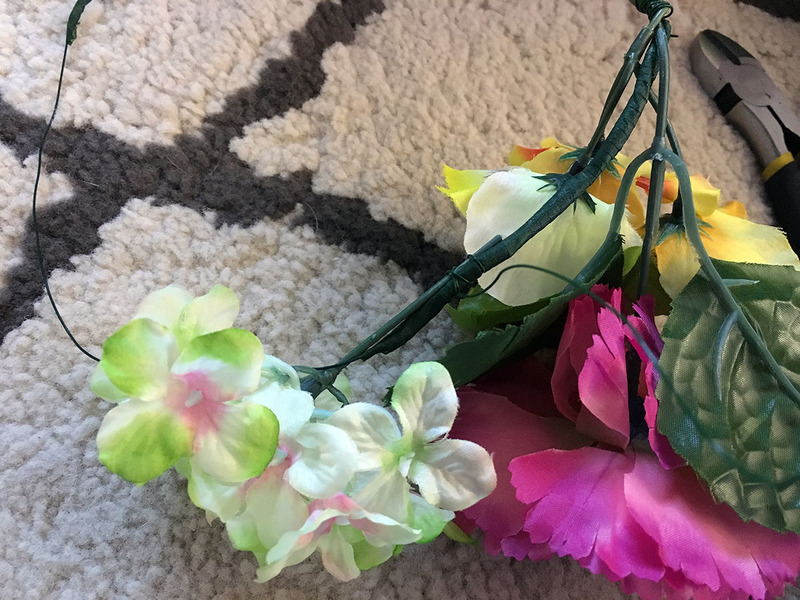 I’ll be sharing a blog post about the actual party soon, so check back for ALL the details. 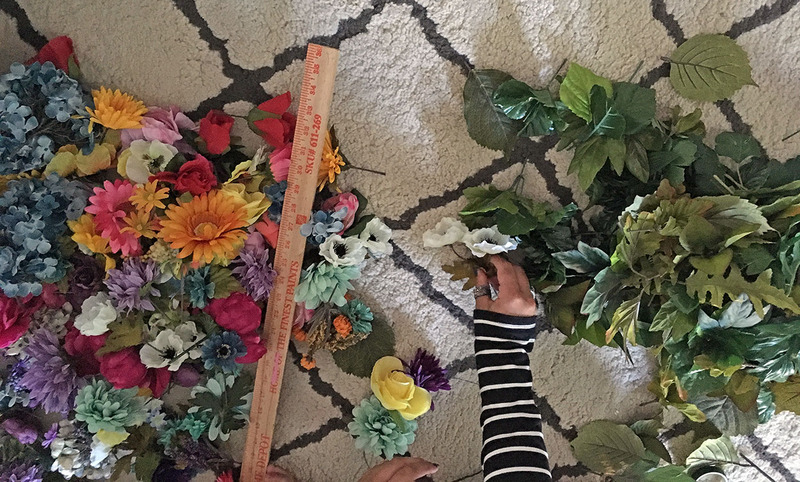 Without revealing too much about the theme of the party (we want some surprises for her guests, after all), I am sharing a DIY for some flower crowns that were created for her party. First, cut two 18 inch lengths of the heavy gauge wire. 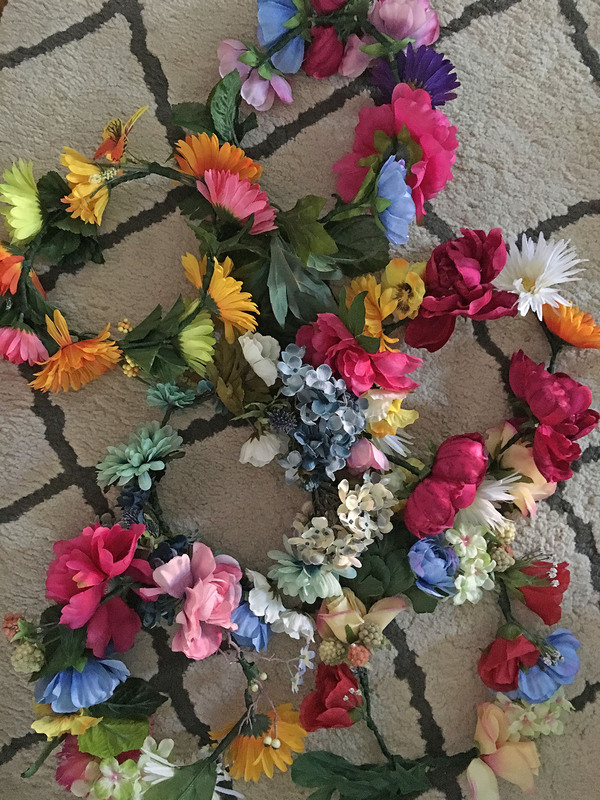 Twist them together to form a circle. Test it to make sure it rests comfortably on your head. 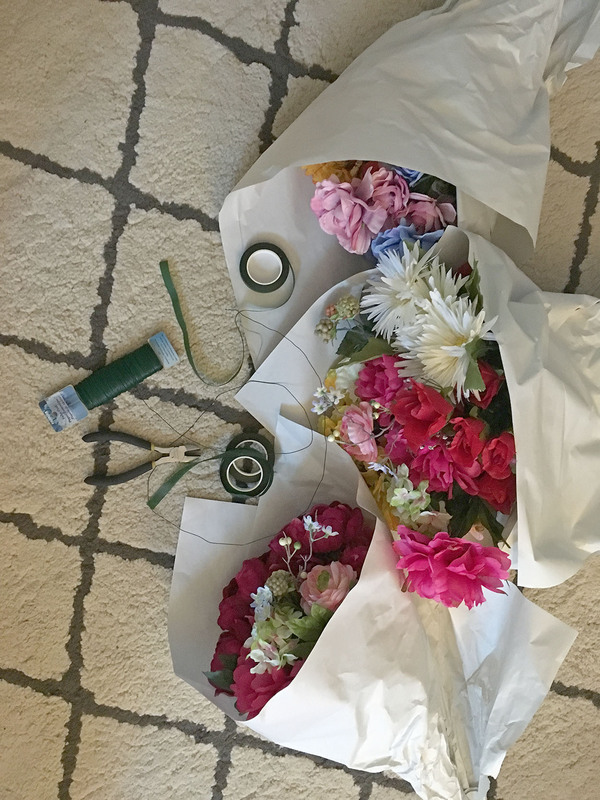 It should be a little loose, as you’ll be adding flowers. Adjust it by twisting the wires closer or farther apart. 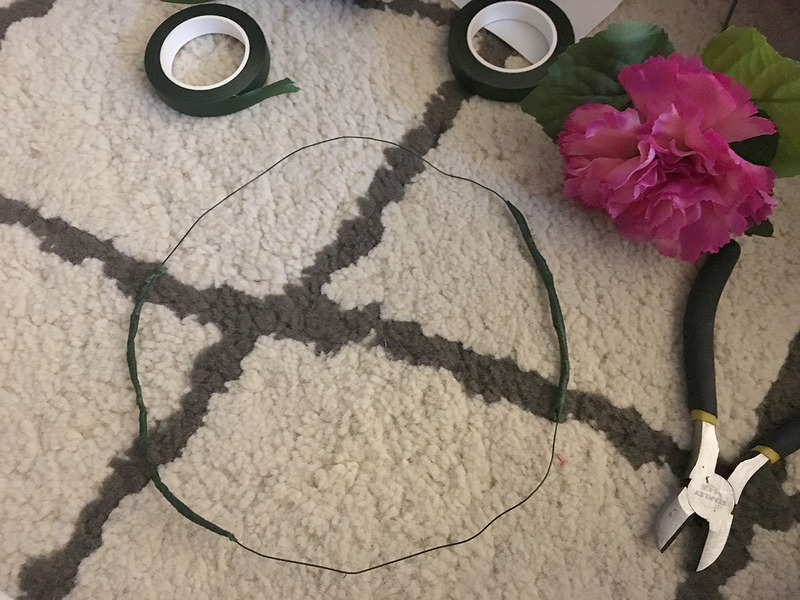 To avoid the wire poking your head, wrap the twisted part of the wire with floral tape. 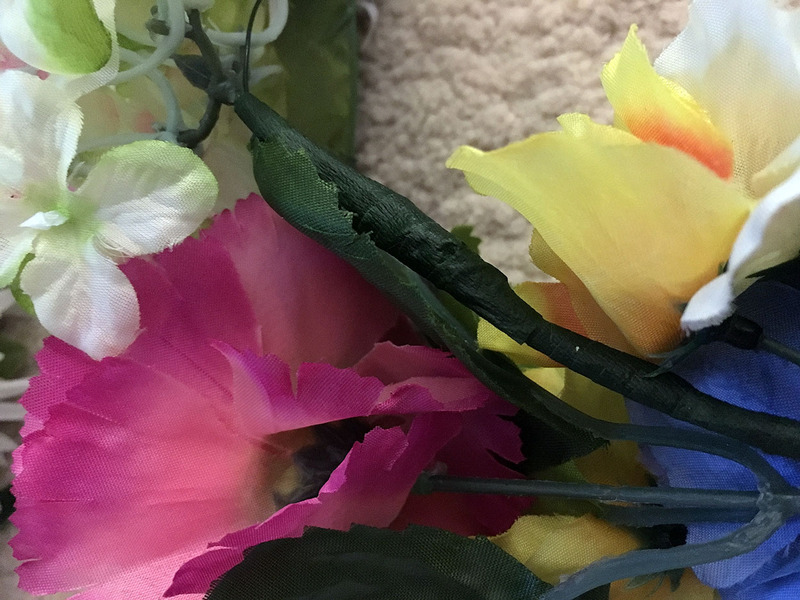 Next, take one of the silk flower blooms. 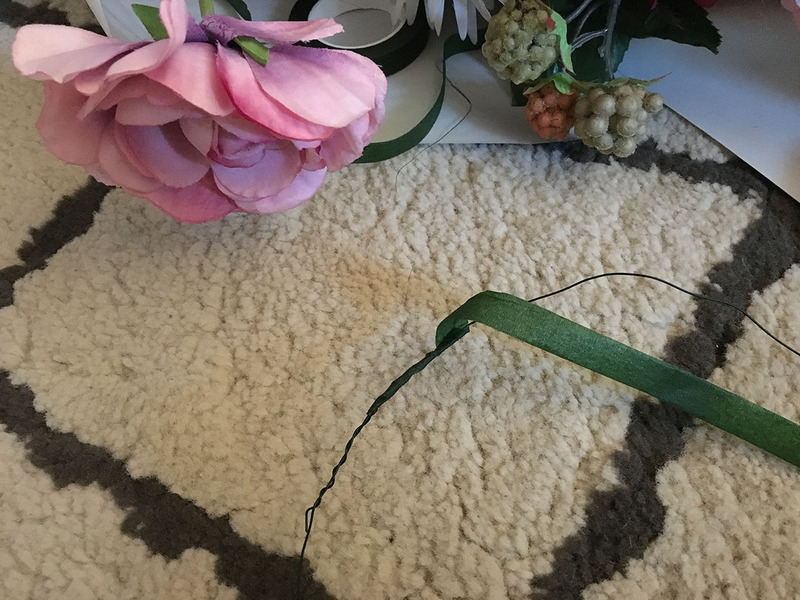 Cut off most of the stem, leaving enough to secure it to the wire circle. 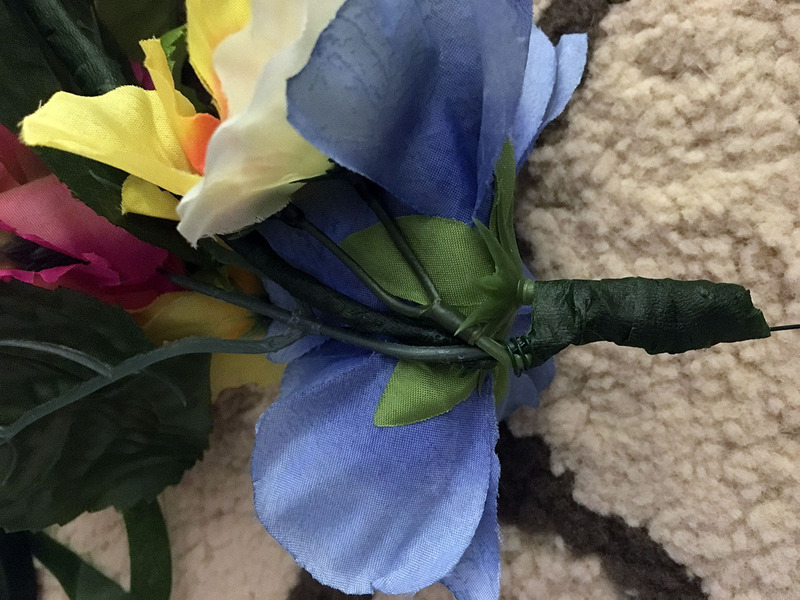 Attach the flower to the circle by wrapping a piece of the lighter gauge wire around the base of the flower. 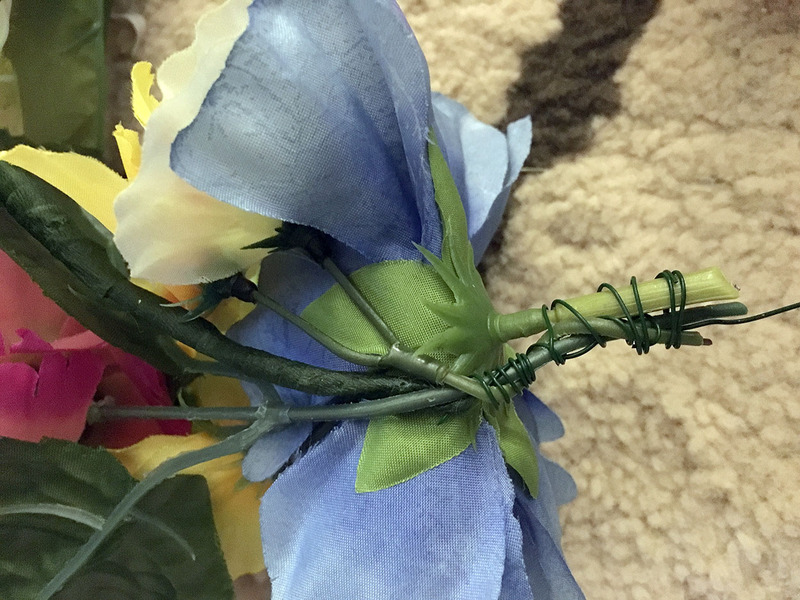 Once the flower is secured to the wire, wrap the stem in floral tape to prevent wires from sticking out. 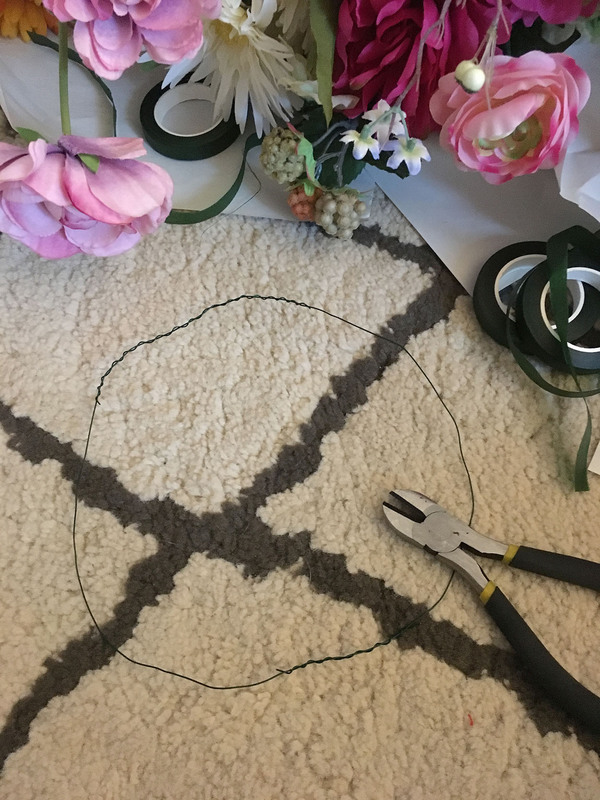 Continue adding flowers to the wire circle until it is as full of blooms as you wish. 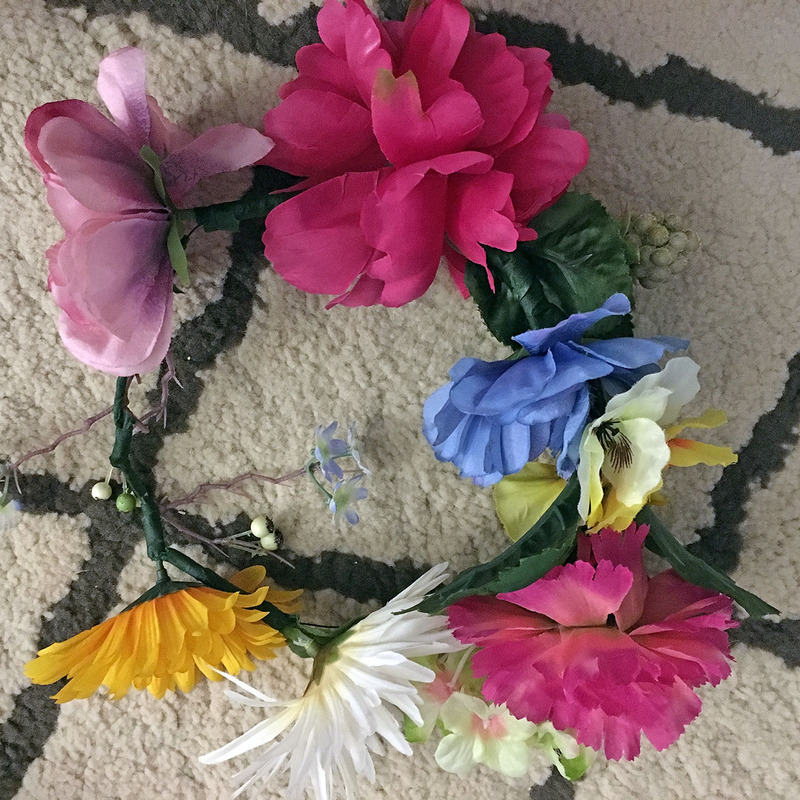 What I love about this DIY is that each one is different and unique…no two flower crowns are alike! I’m so excited for her sweet sixteen party!